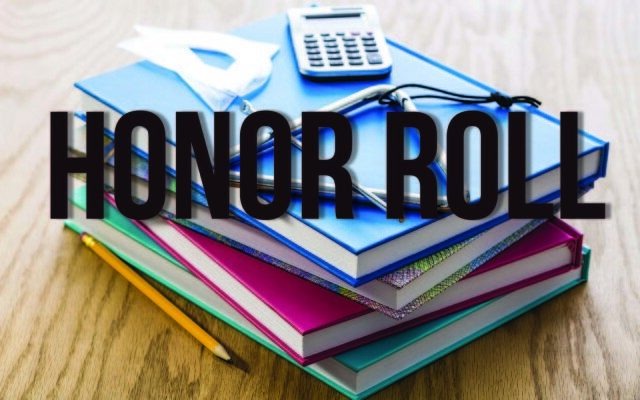 Officials at Greater Houlton Christian Academy have released the honor roll for the fourth quarter of the 2017-18 school year. HOULTON, Maine — Officials at Greater Houlton Christian Academy have released the honor roll for the fourth quarter of the 2017-18 school year. GRADE 4 — Highest Honors: Janey Stone. High Honors: Micah Nadeau, Emery Nightingale, Jack Philbrook, Colton Simoes and Jacob Watson. Honors: Trey Belyea and Daniel Henderson. GRADE 5 — Highest Honors: Abigail Duff, Teanne Ewings, Sarah Matheson, Addison Watson and Ava Whited. High Honors: Hunter Duttweiler and Natalee McCarthy. GRADE 6 — Highest Honors: Seth Quint and Joely Stone. High Honors: Gabrielle Cirulli, Aleyah Matheson and Aimon Simoes. Honors: Silas Nadeau. GRADE 7 — Highest honors: Sadie Thompson. High Honors: Samuel Duff, Drew Duttweiler and Ryan Mitchell. GRADE 8 — Highest honors: Silas Graham. High honors: Alyssa Nightingale and Brock Thompson. Honors: Luke Walker. GRADE 9 — Highest honors: Joel Carmichael and Jessica Quint. High honors: Jeremy Stone. Honors: Joshua Simoes. GRADE 10 — Highest honors: Teagan Ewings. High honors: Crystal McQuade, Olivia Nadeau and Kathryn Nightingale. Honors: Parker Brewer and Ethan Grant. GRADE 11 — High honors: Naemi Supper. Honors: Cole Winslow. GRADE 12 — Highest honors: Brendan Curran, Chloe Fekete, Grace Graham, Bridget Hill and Alex Walker. High honors: Kenan Grant. Honors: Ashley Shaw.